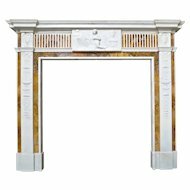 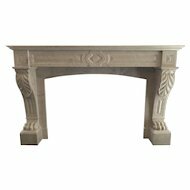 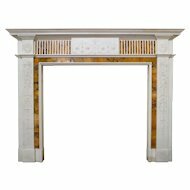 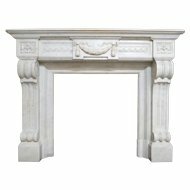 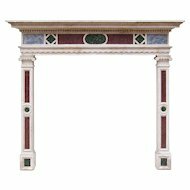 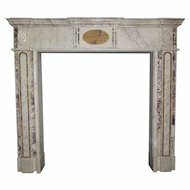 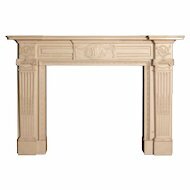 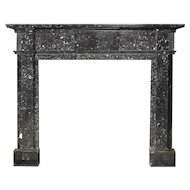 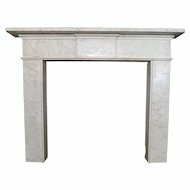 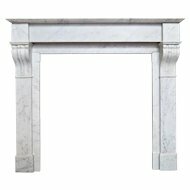 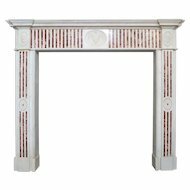 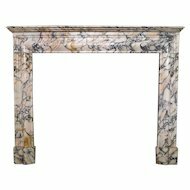 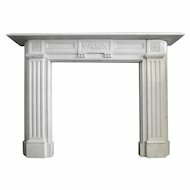 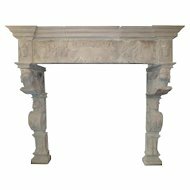 A louis XV style French fireplace in Bleu Flueri, a richly veined grey marble from Italy. 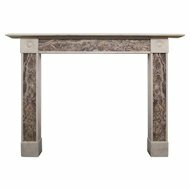 The panelled frieze with finely carved cartouche to centre, shell carved corner blocks and shaped serpentine shelf. 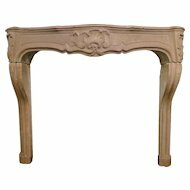 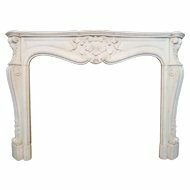 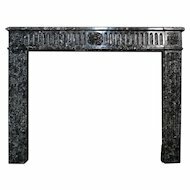 A fine example of a 19th century Louis XV fireplace.